The terms "cingulum" and the "balteus" are often confused and/or used inter-changeably For us, we will use the term "balteus." 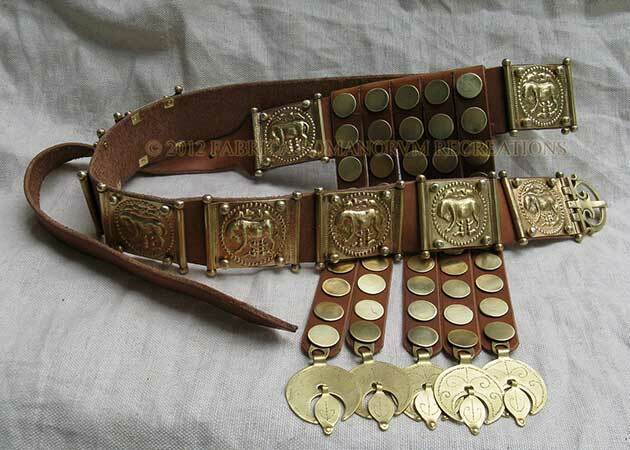 The balteus is the traditional Roman soldier's military belt. The term "balteus" can also refer to the baldric-style belt used to carry a gladius, pugio, loculus, etc. When you think of the Roman soldeir, one of the things you think of, is the dangling straps (called baltea) hanging at he front of his belt. For a long time, Roman reenactors didn't know the correct term for the belt parts — using made up terms like "damglium" or "jinglium" but now, through the work of Mark Graef, we have the actual terms. 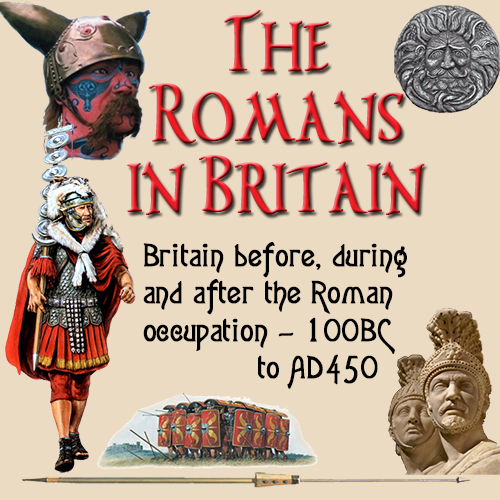 The ACTUAL Roman military word for the hanging straps is baltea. A strap, including an apron strap, in Latin is: balteum (pl. baltea). This is the diminutive form of balteus, thus, a "little belt." The studs on the baltea are called bulla like the child's pendant. The pendant at the very end of the "apron" strap: pensilium (pl. pensilia). Pensilium is a substantiative neuter adjective, meaning "a pendent thing." It is attested as piece of military gear in Granius Licianus 26.1.1, describing a type of cavalry harness pendant used by equestrian nobles. If you are talking about the plates on the terminal of each apron strap that hold the pensilia, it is: lamna (pl. 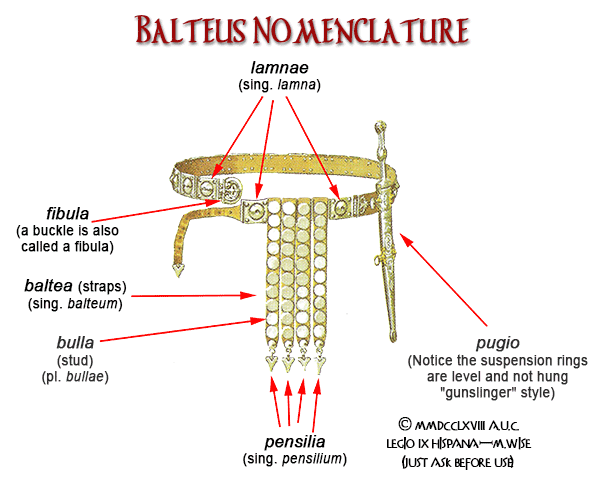 lamnae) for "plates" or balteum lamna for "strap plate" -- better is balteum lamna (pl. balteum lamnis) for "strap plates."